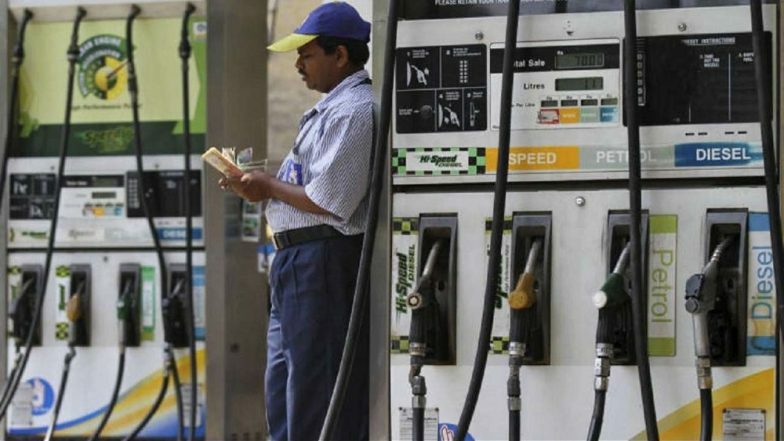 New Delhi, Sept 4: Petrol and diesel prices in India have peaked to an all-time high, with the rate being hiked for a tenth consecutive day. Even as prices continue to soar, it is worth mentioning that India sells a portion of the imported -- after processing it -- at way cheaper rates. While petrol is sold by India to 15 countries at a price of Rs 34 per litre, diesel is sold at Rs 37 per litre to 29 nations. In the past fortnight, the state-owned oil corporations have raised the petrol prices by nearly Rs 2/litre across all metro cities and most state capitals. Diesel, meanwhile, was hiked by as high as Rs 2.42/litre. In the wake of growing dissent over the exorbitant hike, Petroleum Minister Dharmendra Pradhan said interventionary measures would be taken as per the requirement. The Minister, however, has not indicated a cut in centra duties levied on the fuel. For interpretation of readers and better comparison, the prices shared below have been converted to Indian National Rupee (INR) from their domestic currencies. As seen in the table above, the petrol and diesel prices are highest in New Delhi, closely followed by Kathmandu, Dhaka and Islamabad. The prices hover at lower prices in Southeast Asia, as seen in Indonesia and Malaysia. The fresh surge in fuel prices is triggered by the fresh sanctions imposed on Iran and Venezuela by the United States. As a result, the brent crude oil prices are expected to further escalate. Notably, the brent crude oil prices are hovering below $80-per barrel. On September 3, the crude price floated at $78.10. Although the oil rate is strengthening, it has not reached the alarming level of mid-May this year, when the crude traded at as high as $84.4-per barrel.